Colombia benefits a lot from being an active part of the international community, many of the problems we face are increasingly global and need the support and collaboration of other countries for their solution. 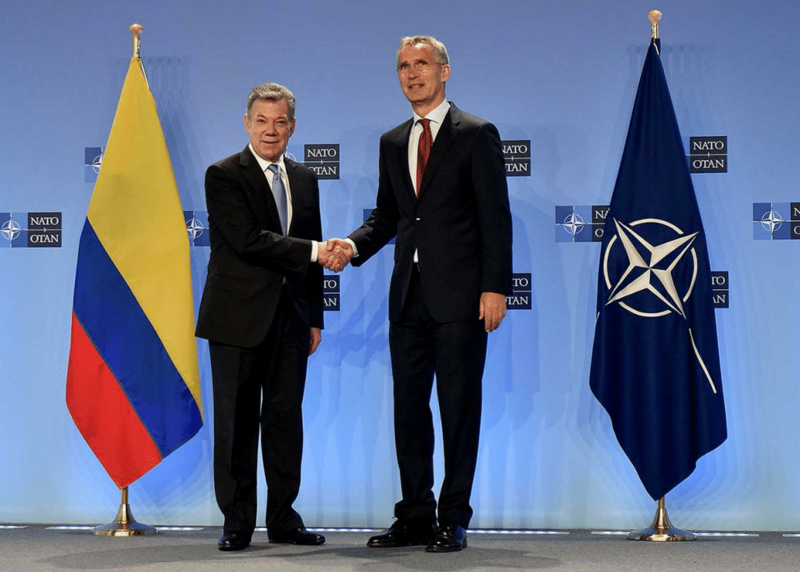 How is it possible that Colombia wants to be a member of NATO? What for? 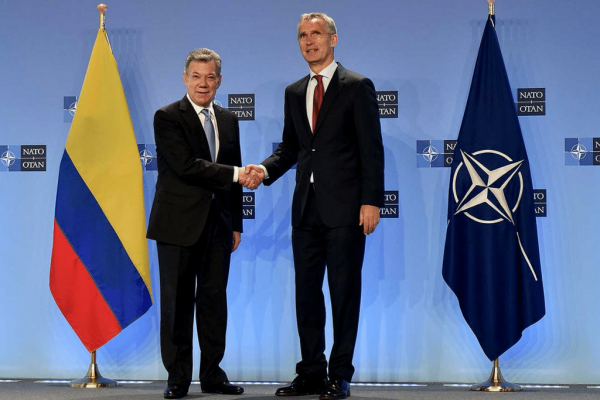 To have NATO commit aggression against Latin America, so they can invade us, as they have done in Europe, Africa and Asia? 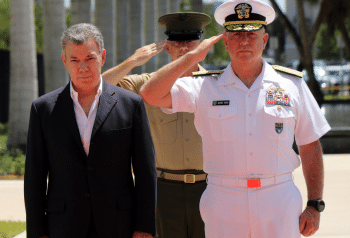 the intention of the Colombian authorities… to introduce a foreign military alliance with nuclear capability to Latin America and the Caribbean, which clearly constitutes a serious threat to regional peace and stability. That is not the solution–a Marine invasion of Venezuela would be catastrophic and would also spawn sequels effecting several generations. A U.S. military intervention would be a catastrophe for Venezuela and for Latin America’s relations with the United States.